The week of April 14th-19th, preceding the passion week and Resurrection Sunday, Saylorville Church will give itself to a Week of Prayer. This week will include our focused attention on our world as well as our church and community. We will start the week with a Concert of Prayer on Sunday, April 14th at 5:30pm during Sunday Nights at Saylorville. Here we will come together to corporately ask God to do great things in the lives of our missionaries and the people and ministries of Saylorville Church. 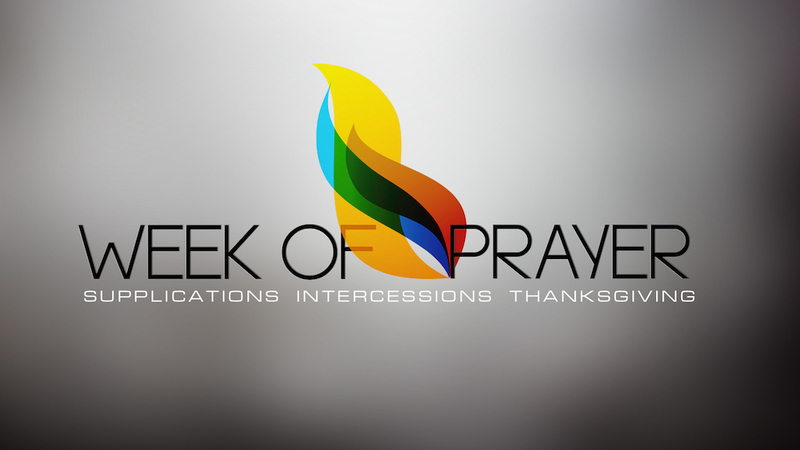 Starting Monday, April 15th-Friday, April 19th we will have various opportunities for you to pray throughout the week. Click here to download the Week of Prayer journal that will help guide you on how to pray each day. Prayer at the Church. We will have a designated time of prayer at the church at 6:00am. This will be an intensive week of prayer focused on our Easter services and evangelism for 2019. All are welcome to come to any or all of the days and to any of the prayer times. You do not need to sign up to come. Cell Groups. Cell Groups will devote time to prayer during the week. Fasting. You can choose any day you wish to fast but we are earmarking the day before our Good Friday service (Thursday, April 18th) for fasting. This will be a time to pray particularly for the Spirit of God to break forth in power, not only in our church but everywhere where the Gospel is preached.